Badass Brooklyn branding without the BS. For 1-3 service business, bold entrepreneurs who want to stand out by being noticeable, memorable and shareable. Develop a loyal following of fans who can't shut up about your company and they will become your best marketing team. Headed up by Steve Wasterval and Pia Silva, Worstofall Design specializes in building websites on Squarespace. We will not only identify but badass brand message, but we will then build out your entire brand with copy, logo, and website design and build. 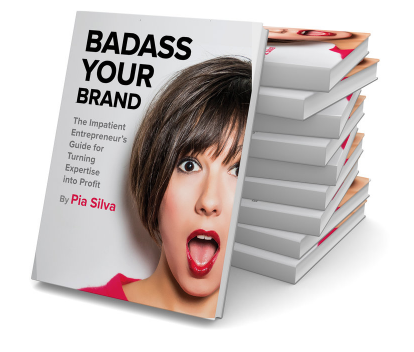 Badass brands require guts, because being loved by some means being misunderstood, and even disliked, by others. They stand against something as much as they stand for something. Badass brands are brave, sometimes irreverent, and always unapologetic and for it they gain a kind of loyal following that can't be bought, only earned.